The EcoSport fits into a peer group that includes the Chevrolet Trax, Honda HR-V, Jeep Renegade and Mazda CX-3. 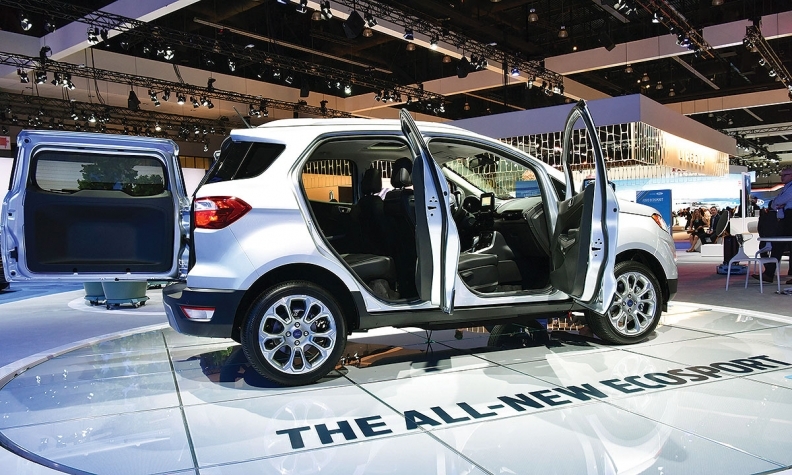 Ford didn’t invent the wildly popular compact-utility-vehicle segment, but the original Escape went on to become the long-time segment sales leader in Canada. But times and market demand change, and other automakers have inserted smaller utility vehicles to fill in new gaps in their model ranges. Honda has the HR-V nestled in below the CR-V, and Nissan has slotted the new Qashqai between the larger Rogue and the Sentra subcompact-sedan line. 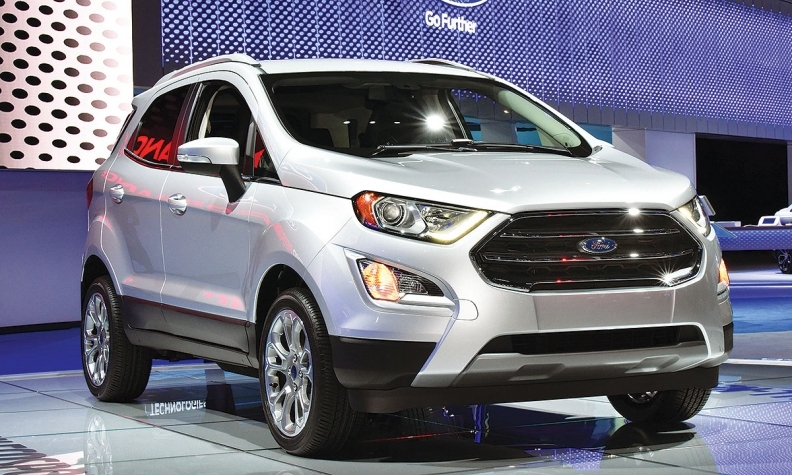 Yet, the Ford Escape has no understudy. The current generation is in its fifth model year, and despite a freshening for 2017, it’s losing ground to a growing band of fresher competitors. It’s not as if there wasn’t already a suitable product in its global portfolio: The EcoSport was launched in Brazil in 2003. The second-generation EcoSport launched in early 2014 and spread to other markets including Europe. Ford finally announced last November that it will introduce the EcoSport in Canada and the United States, but it’s not exactly rushing the Fiesta-based compact utility to market as the projected on-sale date is January 2018. By then, the basic design will be four years old, though of course it will have been freshened and adapted for the North American market. Competitors such as the Honda HR-V and Nissan Qashqai will have a giant head-start on the Ford EcoSport, which is expected to arrive in early 2018. Contrera added that the segment is growing fast and is getting crowded. Ford announced the coming of the EcoSport just days after Donald Trump was elected president of the United States last November. Trump has excoriated American automakers for moving manufacturing operations outside the United States, mostly singling out Mexico. The EcoSport doesn’t come from Mexico (or Brazil), but it’s not a domestic either; the North American version will be built in Chennai, India. That long supply pipeline will be a factor for dealers, said Dan Deboer, dealer/partner at Parkway Ford in Waterloo, Ont., and vice-chair of the Ford dealers’ National Round Table, an elected body that works with the manufacturer. “Factory orders will be almost nonexistent. If a customer wants something specific it could take four to five months. For that reason they’ve packaged it very simply, with very few combinations [which] should make it easier to stock. At just under 4.3 metres long (European version) the EcoSport fits a peer group that includes the Chevrolet Trax, Honda HR-V, Jeep Renegade and Mazda CX-3. It will be offered in four trim grades in Canada with a choice of two powertrains: a 1.0-litre three-cylinder turbocharged with front-wheel-drive; or a non-turbo 2.0-litre four-cylinder with all-wheel-drive. Both will be paired to six-speed automatic transmissions. 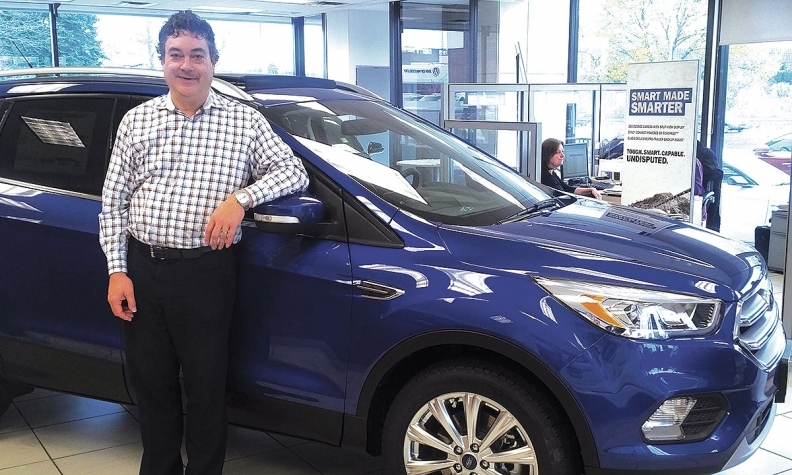 "I don't think being late hurts because that segment [CUVs] has a long way to grow," said Dan Deboer, dealer/partner at Parkway Ford in Waterloo, Ont. Deboer isn’t concerned about the EcoSport’s age. With the market launch still eight months away, Contrera could not speak to pricing or sales volume.